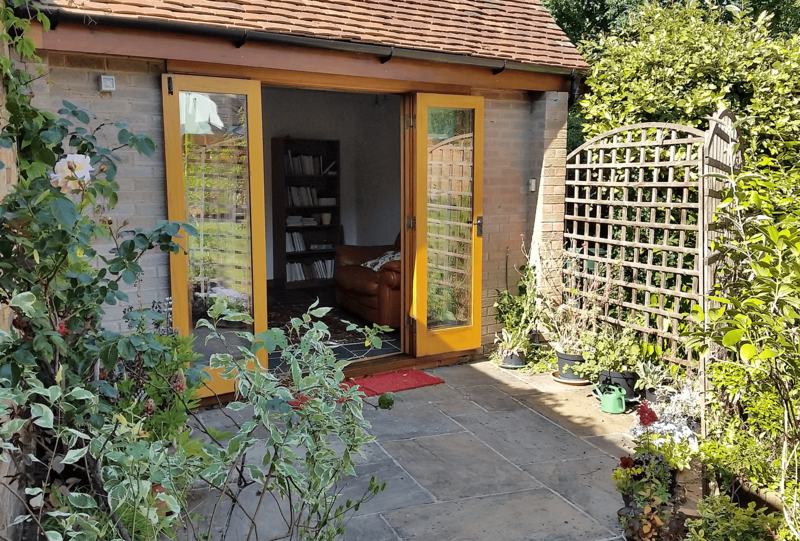 Your counselling sessions will take place in the calm and tranquillity of The Summer House. Set in a country garden there are views of colourful flowers and plants and the sky above. The restful interior has comfortable furnishings, including a sofa with cushions, big beanbags, and cosy blankets. There are also padded upright chairs for those who prefer. A big rug on the floor and a table for activities is ready for the young people. These can serve to assist the talking process by providing distraction and so ease conversations. The soft rug, cushions, bean bags and cosy blankets all help them to feel secure in the sessions and help put them at ease. All of this together serves to provide a safe environment for counselling to take place in a private designated space.